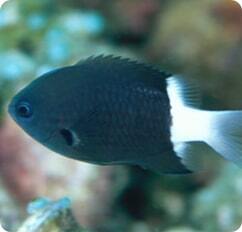 The Eightline comes from Hawaii and does well in the home aquarium; accepting most foods. 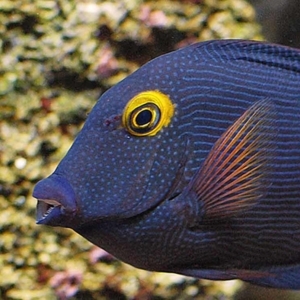 It is a great fish for fish-only tanks. 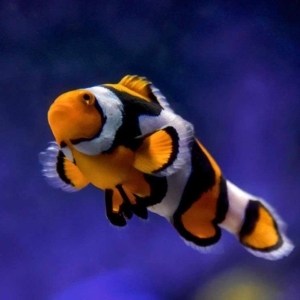 As its name implies, it has eight, horizontal red stripes on a striking orange body. Its fins and tail are intricately detailed. 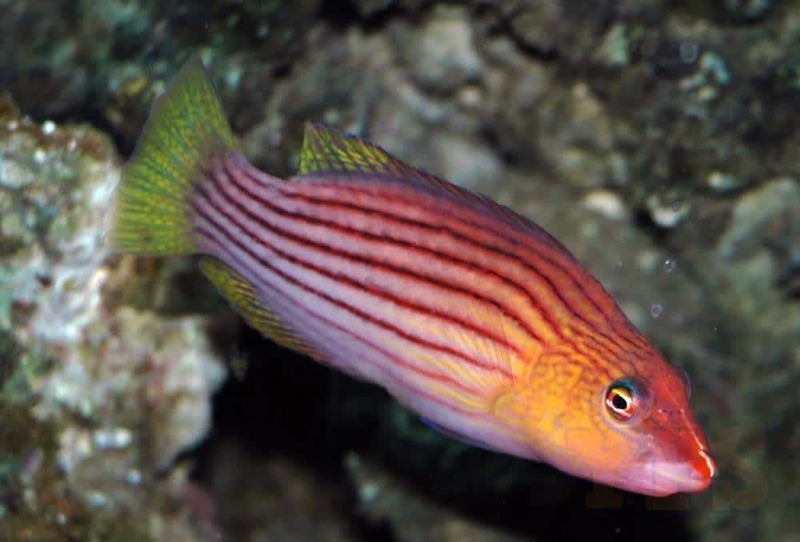 The Eight Lined Wrasse is very aggressive towards other Wrasses and best kept singly. It is harmless to corals where it loves to hide, but will eat shrimp, crabs, and other small crustaceans, snails, urchins, and bristleworms. 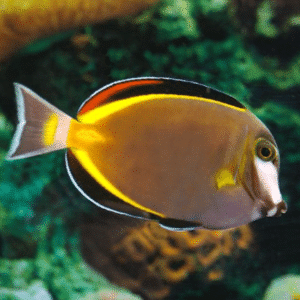 Their diet should include vitamin enriched frozen mysis shrimp, vitamin enriched frozen brine shrimp, and other meaty foods along with a high quality marine flake and marine pellet food. 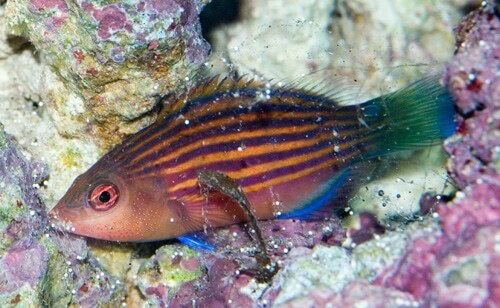 An active and attractive fish, the Eight-Lined Wrasse is hardy, disease resistant, and long lived. 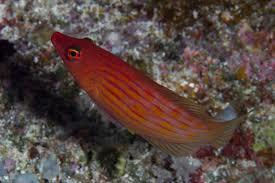 They are also quite adept at taking care of pyramidellid snails, bristleworms, small urchins and commensal flatworms. 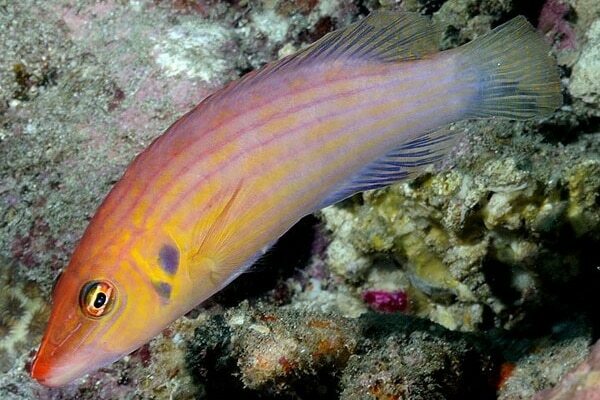 As with all fish in this genus they sleep in a mucus cocoon, which fortunately does not seem degrade the water quality.